In accordance with World Food Day, a shocking 30-40% of food in the United Declares is wasted. Option equal of every person in the nation throwing 20 pounds of food straight into the garbage on a monthly basis. Although lots of food is wasted by grocery stores, the farming process and other parts of the food business, we’re totally wasting properly good food at home too. 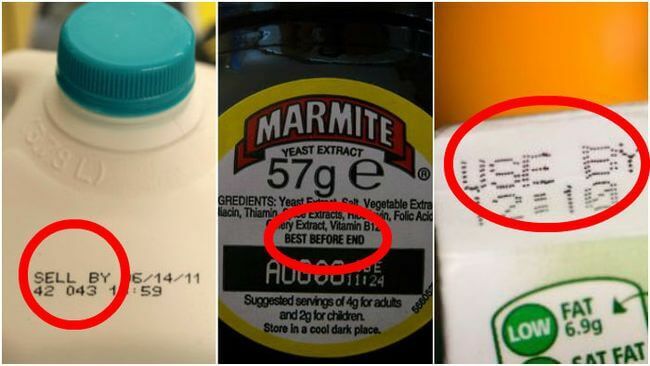 Even if you’re not the kind of person who won’t drink milk after the expiry date, odds are you follow the “best before” dates on your food, but they aren’t really accurate. First it’s important to know the difference between the labels our food is marked with. Sell By or Display By labels can be completely ignored. They’re only for grocery store employees, not customers. Best Before is a very loose date. It mainly tells you when your food will be “freshest,” but if the package isn’t opened your food can last much longer. Use By is the most serious warning, and you should normally follow it. Even if it looks fine, after the this date food is normally spoiled. There are also some foods you should always follow the expiry date for: meat and fish, baby food and formula, medicines, meal replacements or diet supplements. For everything else, the date is really a suggestion. Lots of foods, especially processed foods, have very long shelf lives. Cookies, chips, dry pasta and canned food are good almost indefinitely. If yogurt passes the “sniff test” it should be safe to eat, and as long as your veggies don’t look gross you should eat them – or freeze them for later. Remember: even mold doesn’t mean your groceries belong in the trash. Food is usually fine once you scrape off the nasty part. But bread and other soft foods are an exception. Share this post so everyone can learn the different marks!